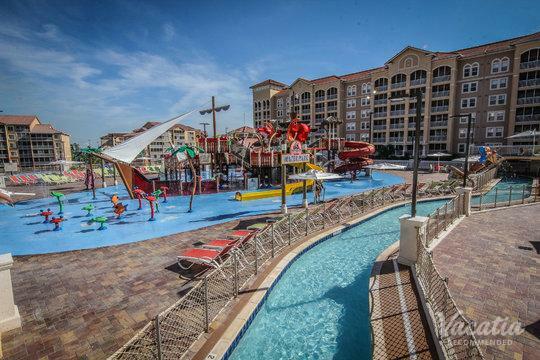 The treasures of the sea are right next door at the Hilton Grand Vacations Suites at SeaWorld. HGVC timeshare owners enjoy priority access, complimentary shuttle service and discounts to the world’s premier ocean theme park. This exclusive resort offers smart and stylish studios, as well as one-, two- and three-bedroom timeshare suites, professionally finished with elegant, island-inspired decor. Residences include king or queen bed(s), sleeper sofa, a complete, gourmet kitchen or kitchenette, dining area, wet bar, whirlpool bath, flat-screen HDTV, balcony/patio and washer/dryer. Sprawling across 33 pristine acres, HGVC showcases an abundance of recreational amenities including a private lake with walking paths, five swimming pools (two for kids), hot tubs and a waterfall feature. A state-of-the-art fitness center provides owners with all their workout needs. Additional diversion can be found at the tennis and shuffleboard courts, playground, putting green, croquet lawn course, organized children's programs, video game area, a bar/grill and fresh market/deli. 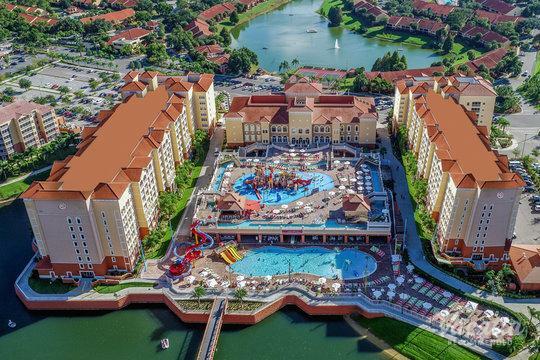 This secured, compressive timeshare resort offers free parking and shuttle service to SeaWorld, Aquatica, Discovery Cove and Universal Orlando. Additional attractions can be found nearby at Wet 'n Wild, Cocoa Beach, Port Canaveral. For those mixing business with pleasure, the Orlando/Orange County Convention Center is the perfect place to host conferences large and small.